Cure JM currently funds four Centers of Excellence across the country. These centers are recognized for the extraordinary care they provide to Juvenile Myositis patients and families. The Centers benefit from institutional support from their respective institutions, which assures that the Cure JM's financial investment to support clinical care and research is highly leveraged by an institutional commitment to building a robust JM program. Aim: Examine the genes that are active in JDM, and whether they predict treatment response to rituximab. The study hopes to enable pediatric rheumatologists to better understand which children will benefit from rituximab therapy, and therefore lead to more personalized approaches to treatment. Aim: JDM has been associated with both gingival and buccal inflammation, suggesting that systemic inflammation triggered by oral bacteria may lead to systemic myositis The aim of the study is determine any associations between JDM, oral health, and the microbiome. Specifically, identifying microbial communities specific to patients with JDM in the supragingival and subgingival plaque microbiome by examining the frequencies and diversity of organisms. Further studies investigating the oral health of JDM patients to determine associations with disease activity or with specific organisms. Aim: The search for clinically useful biomarkers of immune activation in relation to period of untreated disease, endothelial damage and site specificity continues as we seek to identify more effective therapies. The research team is working to discover the biomarkers of JM activity to guide the utilization and/or creation of more effective therapies. They have already identified a variety of genetic and environmental factors that not only play a role in the onset of symptoms, but also govern the child's outcome. Aim: This project is aimed to assess environmental factors in relationship to increased disease activity (flare) in juvenile and adult dermatomyositis and polymyositis. An online survey was conducted for juvenile and adult DM and PM patients from US and Canada who were at least 1 year following diagnosis. The survey examined environmental exposures, including smoking, sun exposure, infections, medications, vaccines, stressful life events, and sports activities, during the 6 months prior to disease flare, to see if these exposures differ in patients who experienced a flare within the past 2 years compared to those who did not experience a disease flare. Aim: JDM is a chronic systemic autoimmune disease with a predominance of muscle and skin inflammation of unknown etiology and varying prognosis. Children with JDM unresponsive to corticosteroids or other immunosuppressive medications face poor clinical and functional outcome and suffer various sequelae of the disease. Abatacept is a fully human soluble recombinant protein consisting of the cytotoxic T cell Lymphocyte Antigen-4 (CTLA4) fused with Fc region of human IgG1 that has been modified to prevent complement fixation and antibody-dependent cellular cytotoxicity. Abatacept binds specifically to the CD80 (B7-1) and CD86 (B7-2) molecules, those expressed on antigen-presenting cells (APCs). Upon engagement of CTLA4 to CD80 or CD86, the resultant inhibition of signal transduction inhibits T cell activation.. The rationale for use of Abatacept in the therapy of JDM includes the expression of CTLA4, CD28, CD86, and CD40 on inflammatory cells of muscle biopsies of patients with DM, as well as CTLA4 and CD28 on muscle cells. We recognize the promise of genetic research and we've made it a strategic research priority. In 2017, we partnered with the Center for Applied Genomics (CAG) at Children's Hospital of Philadelphia (CHoP) on a study to understand the causes of JM. CAG maintains a pediatric biobank, which contains biospecimen samples, like blood and tissue, along with medical information of those that donated the samples. To date, over 100,000 families have voluntarily donated samples into the biobank and shared medical and survey information. This massive store of information makes CAG's pediatric biobank the world's largest of its kind. The Cure JM-invested research is led by Hakon Hakonarson, PhD, MD and Charlly Kao, PhD. The team is using CAG's biobank, sequencing and genotying technologies, and analytical tools to discover which genes associate with JM, and develop an understanding of why mutations in those genes can contribute to the development of JM. The researchers hope the results will lead to new drugs and new treatments that will improve the lives of those living with JM. In order to conduct a thorough study, the team needed samples from both patients and their families. More samples mean more information, and more information improves the chances of understanding what causes JM. As of January, 2019, about a hundred of Cure JM families have contributed to the study. During the last two National Family Conferences and several Walk Strong® events around the country, families filled out medical and family history paperwork and then gave blood or saliva. Samples were collected from JM patients, their siblings, parents, grandparents, and extended family. "When conducting rare disease research, being able to collect samples from so many families is a unique opportunity," says Dr. Kao. "We were pleased that after just two visits to Cure JM conferences that we already collected samples from 300+ different individuals representing over 70 families. This speaks to the commitment, support, and enthusiasm of the Cure JM organization and their families." Dr. Kao reports that they've made progress in the Cure-JM funded research, and plan to report early results in the coming months. "We currently have encouraging preliminary results, and we are working on sequencing new families to replicate and search for other contributing genetic factors. Families where multiple members have a history of autoimmune disease or where more than one sibling or family member has/had JDM/JM are of particular interest and priority, since the genetic signals/contributions tend to be strongest in these settings. We anticipate at last some of these results will be available this summer to be presented at the Annual Medical Conference and Family Education Event in Chicago, and we project to submit for publication later this year." Representatives of the Cure JM Foundation are designing a clinical trial for a potential steroid replacement for the treatment of Juvenile Dermatomyositis. The compound, Vamorolone, is currently in a Phase II clinical trial in 48 Duchenne Muscular Dystrophy children, and biomarker studies have suggested improved safety relative to prednisone. Vamorolone is a dissociative steroid that retains anti-inflammatory activities while reducing or eliminating common side effects. Phase 1 clinical trial data was recently published: www.sciencedirect.com/science/article/ pii/S0039128X1830045X. Cure JM is working with Vamorolone's sponsor, ReveraGen, to design a biomarker-focused "clinical de-risking" JDM trial. Cure JM Medical Advisory Board member Dr. Lauren Pachman serves as the co-principal investigator, Dr Kelly Rouster-Stevens is providing clinical leadership and the trial is being facilitated by ReveraGen's CEO Dr. Eric Hoffman. Cure JM Foundation and Ann & Robert H. Lurie Children's Hospital of Chicago are hosting the 2019 Update on Juvenile Myositis Care and Research on Friday, June 21, 2019 from 7:30 am - 3:30 pm at Ann & Robert H. Lurie Children's Hospital in Chicago. This free conference is open to all physicians and members of the medical community with a special focus on those in pediatrics, rheumatology, dermatology, and neurology. Identify best practices in diagnosing and treating patients with Juvenile Myositis (JM). The Cure JM Foundation has appointed Andrew Heaton, PhD as its first Chief Scientific Officer. According to Cure JM Executive Director James Minow, "Andrew has exceptional experience and a strong track record of innovation in the fields of biotech, drug development and business development. His dedication to finding treatments to rare and life-threatening diseases and compassion for patients and families make him the ideal choice to lead our research program to the next level of achievement." The CSO serves as Cure JM's science and research leader, proactively driving the growth and effectiveness of Cure JM's grants and clinical research program. In addition, the CSO provides strategic oversight, guidance, and leadership to the Cure JM Research Priorities. 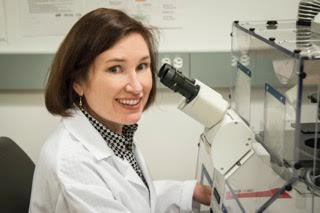 Dr. Heaton will serve as key staff to Cure JM's Research Committee and Medical Advisory Board. 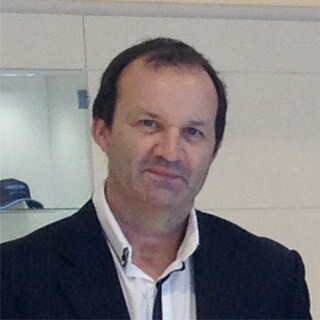 Dr. Heaton received his Bachelor of Science degree from the University of Tasmania, his doctorate from James Cook University of North Queensland, his executive MBA from Melbourne Business School, and completed a sabbatical at Imperial College, London. Dr. Heaton is the senior author on over 100, globally granted-patents, covering a wide range of molecular architectures and diseases and has published multiple papers in peer-reviewed scientific journals. Sarah L. Tansley, Steania Simou, Neil McHugh, et al. Aim: Juvenile myositis is a rare and heterogeneous disease. Diagnosis is often difficult but early treatment is important in reducing the risk of associated morbidity and poor outcomes. Myositis specific autoantibodies have been described in both juvenile and adult patients with myositis and can be helpful in dividing patients into clinically homogenous groups. The study seeks to explore the utility of myositis specific autoantibodies as diagnostic and prognostic biomarkers in patients with juvenile-onset disease. "Our study highlights how myositis specific autoantibodies are now present in a majority of cases of juvenile-onset myositis, identify patterns of disease and will have an increasing role in earlier diagnosis. A major challenge now is making sure that the assays for routinely measuring these autoantibodies are reliable and more readily available for use in clinical practice," co-author, Neil McHugh, Professor of Pharmacoepidemiology at the Department of Pharmacy and Pharmacology, University of Bath. Cure JM has partnered with the Childhood Arthritis and Rheumatology Research Alliance (CARRA), a group of 500 North American pediatric rheumatologists, researchers, and other health care professionals, to launch a multi-center JM patient registry. The CARRA JM patient registry is a database that collects information at the time of diagnosis and at regular intervals about how a patient is doing, medications used, and side effects. Pooling all this information lets CARRA researchers do larger studies that will ultimately help JM families make more informed decisions on treatment options. "There are many questions about JDM that require answers. For example, are there different types of JDM that need different approaches to treatment or are at risk for different complications? Can we predict which patient will respond to which therapy? How do some children enter long-term drug-free remission, when most autoimmune diseases last for a lifetime? Why does JDM occur at all? The commitment from the Cure JM Foundation to fund a JDM Biobank, together with the willingness of patients and families to donate samples and clinical data, will allow investigators within CARRA and elsewhere to begin tackling these questions. We expect that this collection will become a powerful resource for transformative research in JDM," Peter A. Nigrovic, MD, Chair, CARRA Translational Research and Technology Committee (TRTC). This Cure JM supported CARRA JM patient registry went live in December 2017 at 18 CARRA sites, with expansion planned to a total of 75 sites in 2018. A one-page letter of intent (LOI) is required 30 days before the deadline for full application and must contain the project title, a brief description of the proposed research, the name, address and email address of the Principal Investigators, and any persons who might have a conflict of interest in reviewing the proposal. The LOI should be submitted electronically to: . The LOI is only to allow organization of the review process, and all projects submitting an LOI will be permitted to submit a full application. Grant applications can be submitted any time after March 30, when the RFP process opens. Proposals should be submitted electronically as one single PDF file to: and must be received by the submission deadline for applications stated in the research announcement timeline.